Rebellion’s World War II shooter Sniper Elite V2 is currently free on Steam until about midnight local time. This is apparently as part of the launch of the upcoming Sniper Elite 3, which is due next month. Unlike most other shooting games, Sniper Elite emphasises sniping targets from a distance and evading detection. 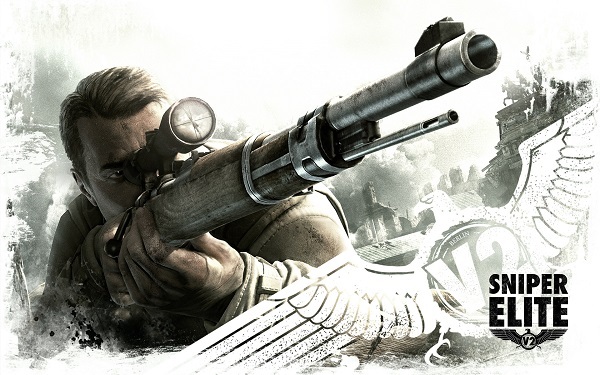 Sniper Elite V2 takes place in the Battle of Berlin, and players take on the role of a sniper who must eliminate German scientists who are working on the V-2 rocket program. As a larger backdrop, the Red Army are also invading Berlin and will tend to shoot at anyone who does not happen to be Russian. With the 70th Anniversary of D-Day coming up tomorrow, this might be a thematic way of spending the Friday night.